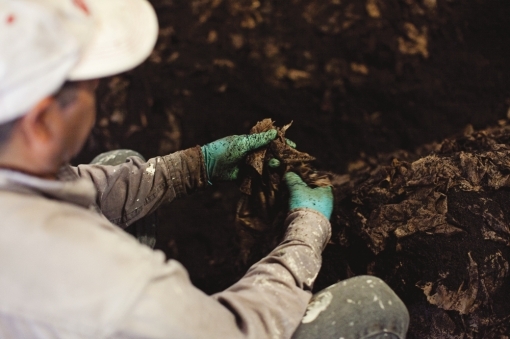 In the spring of 2009, three guys stood over a five-gallon paint bucket holding seven fresh oyster mushrooms. University of California, Berkeley, Haas School of Business students Alex Velez and Nikhil Arora were in the kitchen of Alice Waters’ Chez Panisse, a San Francisco Bay Area institution and arguably the birthplace of California cuisine. Although they knew next to nothing about gourmet mushrooms, they had just discovered a unique way to grow them. All they needed now was an expert’s opinion on the make-or-break factor: taste. Cal Peternell, the restaurant’s co-chef, plucked three — half of the duo’s entire inventory — and tossed them in a pan. After tasting them, he nodded in approval, marking the beginning of a mushroom-filled adventure for the two students. BTTR Ventures (pronounced “better” and short for Back to the Roots) was formed soon after by Velez and Arora, who had met fortuitously just a few weeks before. 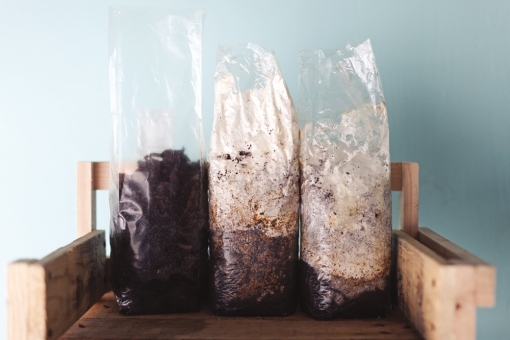 In a class about reusing materials and ethical business practices, they learned that mushrooms could be grown from recycled coffee grounds. Eager to test the theory, they rigged up 10 paint buckets in Velez’s fraternity house and started growing. 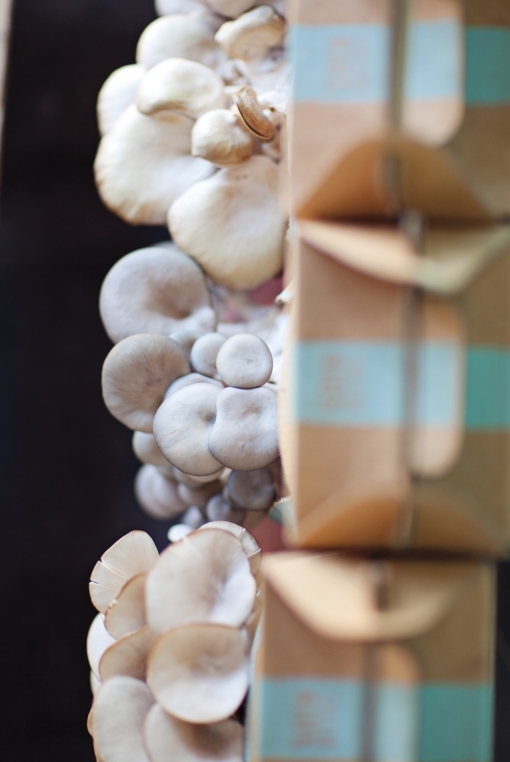 Less than two years later, the BTTR guys hope to bring specialty mushrooms to the masses, beyond the shopping carts of foodies, vegetarians and Asian households. 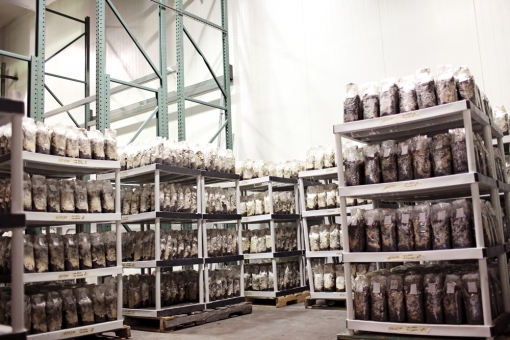 American consumption of mushrooms is steadily increasing, with 862 million pounds sold in 2010, up 9 percent from the year before, according to the National Agricultural Statistics Service. 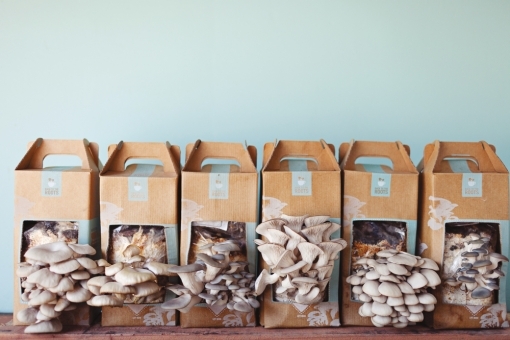 are packaged and sold as BTTR’s signature home mushroom kits. 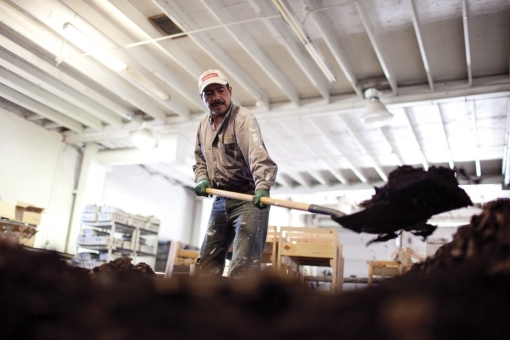 to schools and urban farms. beyond profit to education and social change — is the future. version of childhood ant farms. its popularity attracted new mentors and capital investment. startups in its portfolio, such as Blue Bottle Coffee and Numi Tea. limelight, they make everyone better,” Murphy said. As Arora himself said, “For us, it’s not really about mushrooms. Jeff Kang works with various K-12 educational organizations promoting smart uses of resources, technology and data. He received an MBA from the U.C. Berkeley Haas School of Business, and now lives in Washington, DC with his lovely wife and tiny dog.